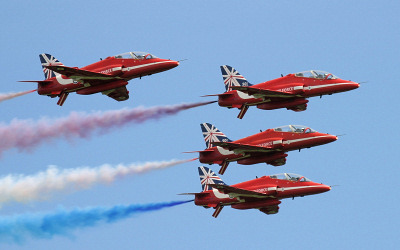 Military Airshows in the UK 2019. The Photograph Competition has been won by KAN with his photograph of the USAF Thunderbirds at the Waddington Airshow 2011 which can be seen on the Homepage and the Photo-Competition page along with all the other entries. Thanks to everyone that took part in the competition. The Photograph Competition page includes the winning photograph and all the other entries along with details on sending in your photograph. 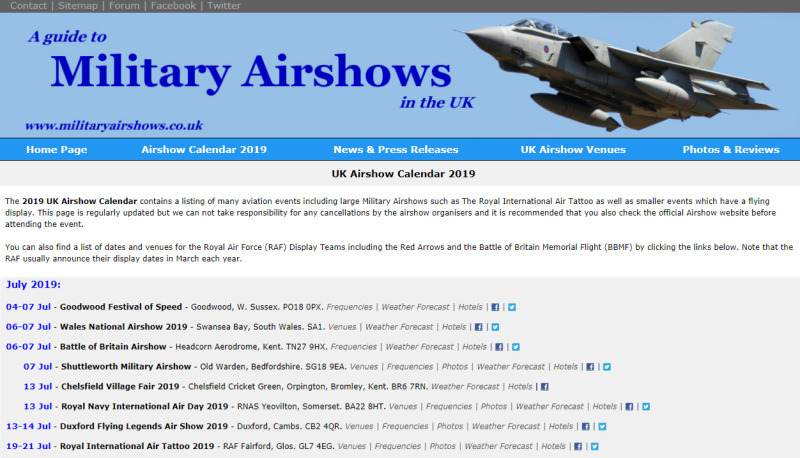 Here you can find the 2019 UK Airshow Calendar which contains all the dates and events to help you plan your visit to an air show. There is also help for people who are new to airshows. • New to UK airshows? Here you will find information on many UK Military bases which operate aircraft including the Royal Air Force, United States Air Force, Royal Navy, and Army Air Corps. There are details on current UK Military aircraft & squadrons, history of the base, maps, scanner frequencies, Military aircraft trackers, and photos of the aircraft for each base. Information on cameras and airband scanners. 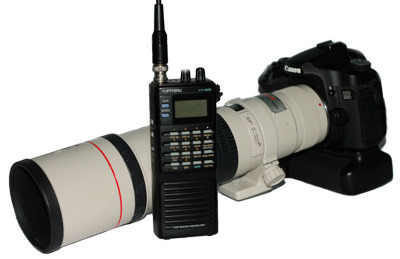 There is a guide to using a DSLR camera at airshows and selecting a suitable lens. There are also details on selecting an airband scanner. 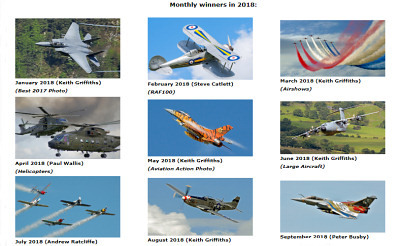 There are various competitions on this website including the monthly Aviation Photograph Competition where you can send in your aviation photo, an Aviation Quiz where you have to identify several aircraft, and sometimes Airshow Ticket Competitions etc. • Added RAF Cosford Night Shoot 2019 review & photos. 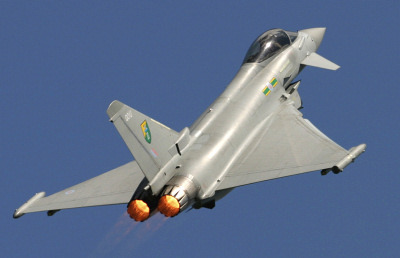 • RAF Typhoon and Royal Navy Black Cats Display Team Dates & Venues. • The Photograph Competition has been won by KAN. Thanks to everyone that took part. • Added a DAKS over Normandy page. 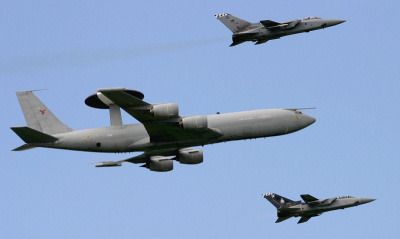 • There will be a Tornado Farewell Flypast over three days from 19th February to 21st February 2019. Added Timings, NOTAMS & Map of the route. • First confirmed locations for Red Arrows American Tour. • RC Model Aircraft Shows 2019 Calendar updated. 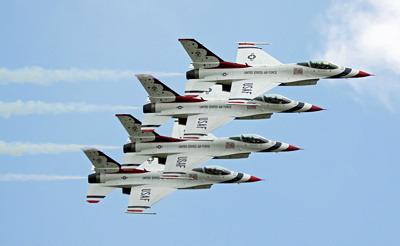 Please click here to send us air show press releases. The following AAC, RN & RAF Display Teams include a schedule (venues & dates) of each display team. The Red Arrows Display Team and the Battle of Britain Memorial Flight (BBMF) schedules will also contain Timings and sometimes a route of the Red Arrows will be displayed on a map along with NOTAMS. Many thousands of Airshow and Aircraft Photographs & Reviews can be found on this website from many different air shows and events. • Sea King retires after 49 years in service. • Added a review of the Duxford Air Festival 2018. • F-35 Lightning jets land on HMS Queen Elizabeth for the first time on Tuesday 25th September 2018. 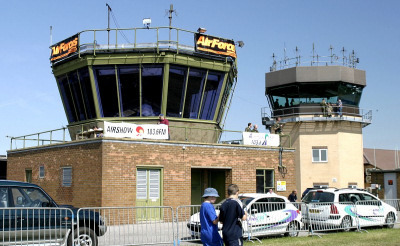 A list of UK Civilian Airport Scanner Frequencies, and UK Airshow Scanner Frequencies, along with Royal Air Force bases & Display Team frequencies can be found on this website. 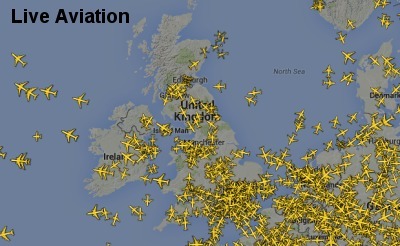 Here you will find information on the main UK airports along with scanner frequencies, airlines, arrivals, departures, aircraft trackers, location (maps), history of the airport, how to get there, satnav postcodes, weather forecast, and hotel accommodation. 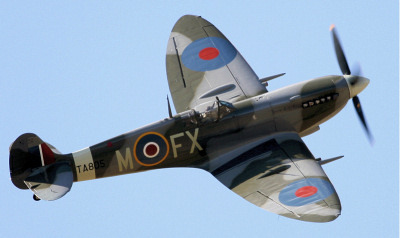 You can find information on the Supermarine Spitfire which includes the different variants, photographs taken at various airshows, and a detailed list of all the airworthy Spitfires that can be seen around the world. 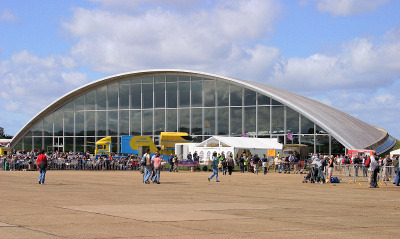 Here you will find information on over forty UK Aviation Museums. 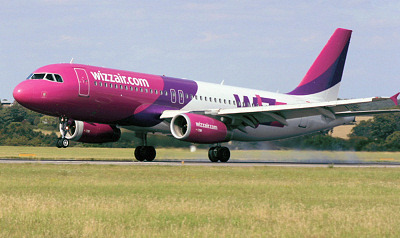 including location, maps, travel, opening hours, history, photographs and a list of the aircraft exhibits. Here are details about several international display teams as well as smaller display teams along with the Royal Air Force display aircraft, Battle of Britain Memorial Flight (BBMF) and Royal Navy Historic Flight (RNHF).